These shoes are great. The zipper is extremely fluent and easy to use. Unless you have really weak arms. As any new shoe, they need to be broken in when you first get them. I found throwing them into a ceiling fan on high speed breaks them in the best. You only need to do this about 7-8 times tho. Anymore than that and you will have problems. Luckily my expertise on shoes saved my athletes from overdoing this. And they praised me accordingly. Great shoe for a great price. I love good American made product. 49 out of 54 found this review helpful. These shoes run small. 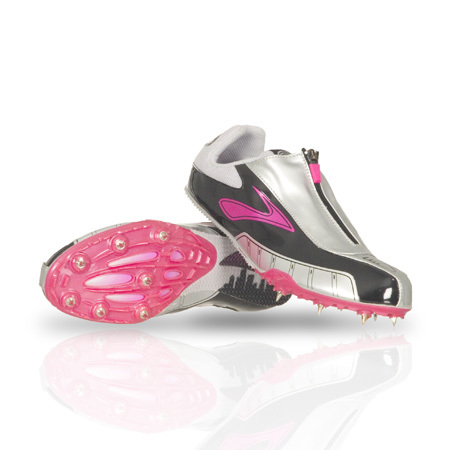 If your athlete wears a size 9 get them a size 10. the shoes are great, the only other problem is the zipper, some of them are hard to zip up due to poor traction, so be careful and dont break the zipper. my expertise in shoes helped me save my athletes from being harsh with them. other than that great shoe. 18 out of 194 found this review helpful.